Spring is in the air. I can feel it, but I can also see it. Green shoots from my daffodils are peeking out of the mulch and the unseasonably warm days are teasing me with sunshine and the sounds of birds in my backyard. This is one of my favorite times of the year. I am so excited to open the windows in order to air my house out after a much colder winter than I have experienced in a long time. It means I can listen to the birds sing, and take in all of the sweet, fresh fragrance of earth heated by the sun. While there are still cold days ahead of us, I’m thrilled with this turn in the weather and its effect on everything. I look at Spring as a way of shaking off the doldrums of life. While many people start off the year with resolutions, I think Spring is the time when I really focus on self-renewal. The longer days are infused with warmth and golden sunshine. We open our homes, dust off the cobwebs, and dig into the damp, warm soil to cultivate life. To help with the great Spring renewal, I also clean. Let me rephrase that, I clean like my life depends on it. Imagine me buzzing about the house, dusting, and scrubbing without a care in the world. After a winter enclosed and summer waiting just around the corner with its oppressive humidity, this is my chance to set everything to rights, long before I want to do nothing more than lounge on the porch with a hand-held fan and a glass of sweet tea. Leave no dust bunny undiscovered, no floor unswept. Spring is a time for rain boots, daffodils, cherry blossoms, brightly colored fingernails, buzzing bees, bunnies hopping to and fro, and a sense of revitalization. My soul sings the sounds of spring, off-key, but enthusiastically. Are you ready for spring? Here’s a Spotify playlist that I use when cleaning. Enjoy! Autumn is my season. Summer sunshine fades into cooler evenings and vivid colors paint everything in shades of gold, red, and orange. This time of year fosters a strong sense of nostalgia that I start longing for in early August. There are a few things I do to prepare and welcome the arrival of the season and hope they help you make your home feel more like fall. 1. Smell. Scent creates an impression that is hard to forget. 73% of people think aroma and smell matter most in the home during fall. During autumn I prefer to bring in the smells of pumpkin, burning leaves, sandalwood, and caramel. Nothing too sweet, so I normally have two fragrances to balance things out. My current favorite is a firewood candle to mimic a real fireplace. The seductive dance of scent is lingering in my house and dancing in my nose. 2. Taste. The tastes of fall are spicier, earthier, and linger on the tongue. Flavors like cinnamon, ginger, sage, nutmeg, and pumpkin are found everywhere. My favorite thing to do is slice fresh ginger into a cup, add a green tea bag, and steep, with a drizzle of local honey to top it off. It is soothing and warm, the perfect indulgent treat after a long day. 3. Sight. Now is the time to invite the outdoors in. Don’t be afraid to bring autumn decorations into you home. I love pumpkins, gourds, and bowls of freshly picked apples. On the table by my front door, there is a vase that always holds a bouquet of seasonal flowers I refresh weekly during at the grocery store. Replace the wreath on your front door with a grapevine wreath filled with faux leaves. 4. Touch. Soft throws come out of the linen closet and drape the back of my sofa and rocking chair during cooler months. I curl up with a good book, my tea, and open the windows to enjoy the crisp breeze cooling my home. Even on days when it is 80 degrees in North Carolina the sight of the my knit blankets and throws remind me that my favorite days will be here soon. 5. Sound. Open the door or a window or take a walk. Listen to the birds sing, hear leaves crunch underfoot, and notice crisp breeze as it wafts its way through the trees. 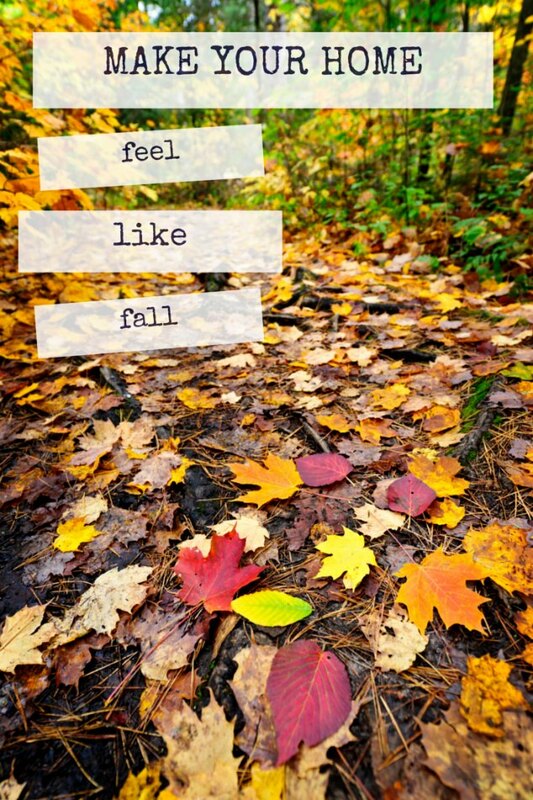 How do you make your home feel like fall? Online Flower Delivery That Wont’ Make You Cringe! Buying from an online flower retailer can be a scary experience. I recently needed to order flowers online for two very different occasions that were out of town (funeral, wedding) and none of the options had any satisfactory choices. They were either well out of my budget, or not very — let’s just say they’re not what I’ve come to expect after many years of being spoiled by the amazing local florists in my Rolodex. Since then, I’ve been on a mission to find places to order flowers online that will not only fit my budget, but will also be aesthetically pleasing no matter what my price point, or location of recipient. Not only does it make me happy to add these sites to my bookmarks, but I know that every person I send a surprise floral delivery is happy every time they look at their bouquet, and part of my goals this year is to work towards helping people channel their inner happy. The Bouqs Co. is one of my favorite new sites to order flowers online. These farm to table flowers are cut on the day you order and shipped from one of their vetted farm partners in the US and overseas so they know their quality and freshness will be exactly what shoppers are searching for. Partner farms practice sustainable, eco-friendly farming, and only cut what they sell. I like that I can order from their site, via an app on my phone and there’s it’s just simple bouquets and no cheesy balloons or bears, nor any hidden delivery fees. They also have a pre-curated subscription service that offers a discount if you sign-up (*cough* ahem, honey *cough*) so that you have fresh flowers every month of the year. Farmgirl Flowers started out in the San Francisco Bay area and I remember being so jealous that my friends could order from them for delivery. The Farmgirl mission is to change the landscape of how flowers are purchased in the United States. 80% of flowers grown in the US are imported. They only buy flowers that are grown here in the US, supporting American farmers who pay living wages to the folks who works growing these beautiful flowers. In order to minimize waste, Farmgirl doesn’t offer multiple arrangements, instead creating arrangements out of what they have and sending them to happy customers. If you’re lucky enough to receive one of their famous Burlap Wrapped Bouquets™ or designer vase arrangements, you’ll be a fan for life. Another soon to be favorite is BloomThat. They’re a little obsessed with sourcing the most stunning, responsibly grown blooms. BloomThat partners with world class farmers and growers across the globe to deliver the freshest, seasonal stems from the places they grow best. Folks who are lucky enough to live in the Bay Area, LA + NYC have same-day deliver, while the rest of us receive next-day delivery within the continental United States, which makes it so very easy to make someones day. I’m really loving the Sherbet stems + Original Salted Caramels from Shotwell Candy Co., from this sugary sweet Candy-Coated Cora combo! For my friends who live in the concrete jungle of New York City, I like to send flowers from Petal by Pedal. Delivery service is Monday – Friday and lucky recipients will receive locally grown flowers that change seasonally. Flowers are delivered on foot, or custom bikes.